I’ve been playing a lot of Mini Metro, a (still alpha) transit-planning puzzle game. It’s been recommended to me a dozen times by people who know how I feel about transit maps, and that element of the game is really great, but it’s also just a lot of fun to play. In any case, it’s got a very distinctive style, and I wanted to see more maps with that look. 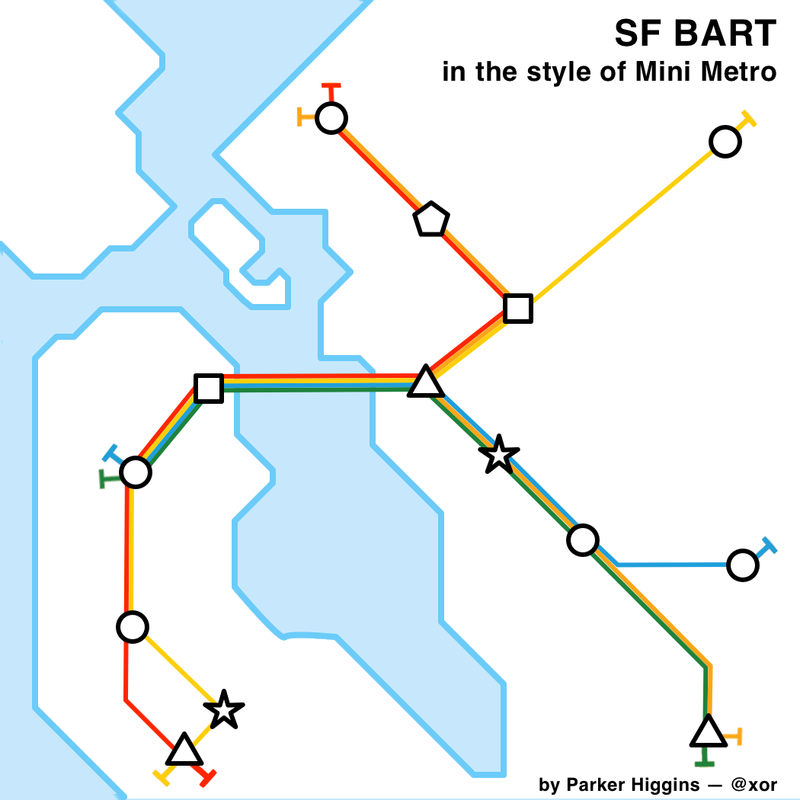 So I made a version of the San Francisco BART map in that look.